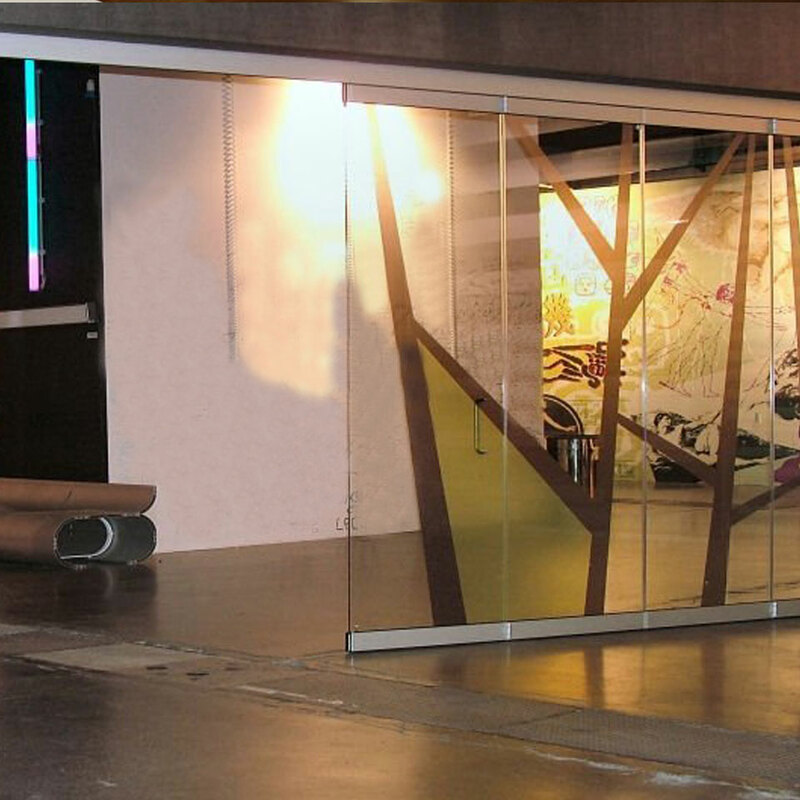 At ADM Glass we offer a range of glass partitioning that is as varied as your imagination. 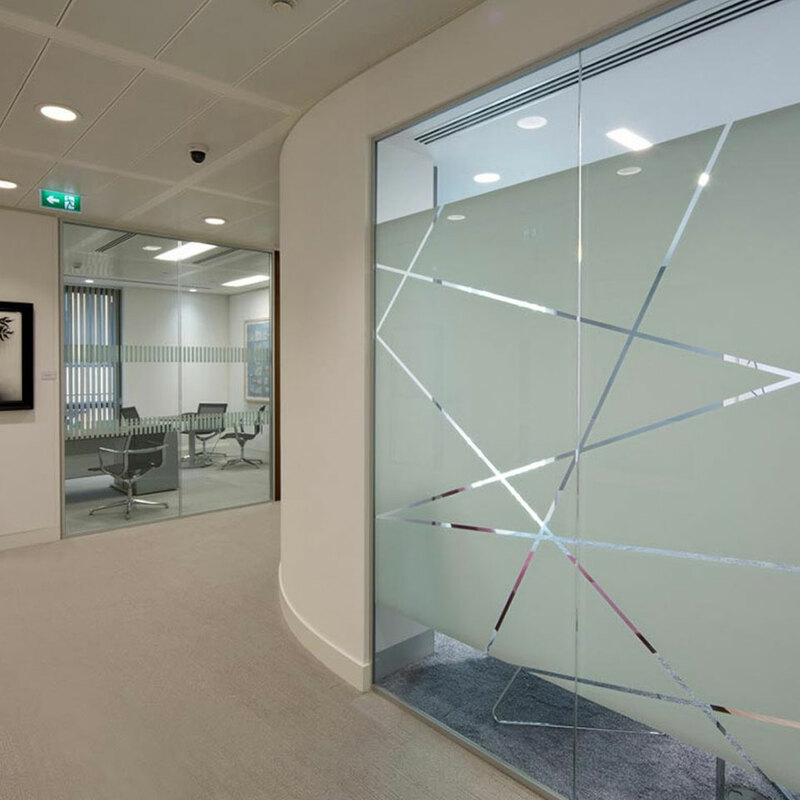 From simple and stylish single-glazed partitions to sky's-the-limit, state-of-the-art options for the 21st century workspace, let ADM Glass bring your vision to life. 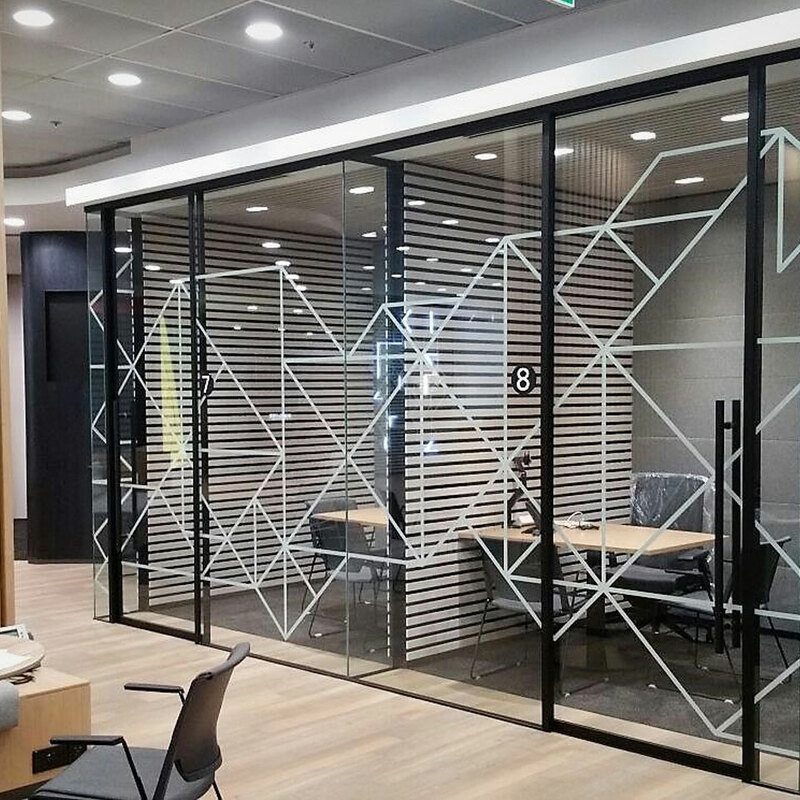 Cost-effective, customizable and fully flexible, single-glazed partitions can be used to bring a stylish and contemporary look to suit any workspace and budget. Choose ultra-thin frames for maximum light or a standard 50mm frame for a modern feel. 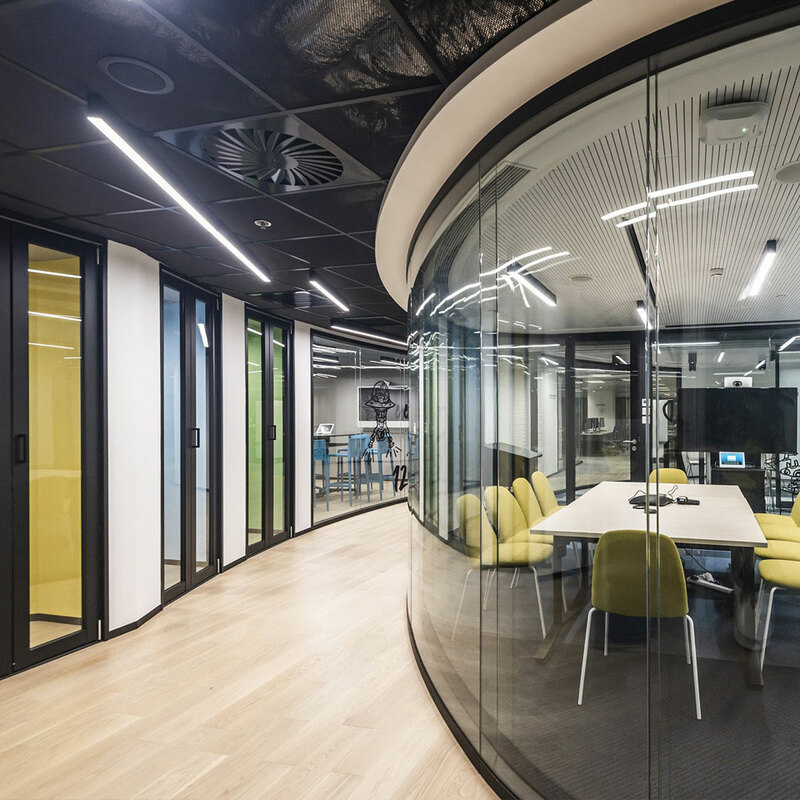 For superior looks and a higher-level acoustic performance, double-glazed partition systems offer an exceptional option for even the most demanding workspace. Escape the confines of the corporate look with an ultra-modern “industrial-look” approach will really set your workspace apart from the rest. 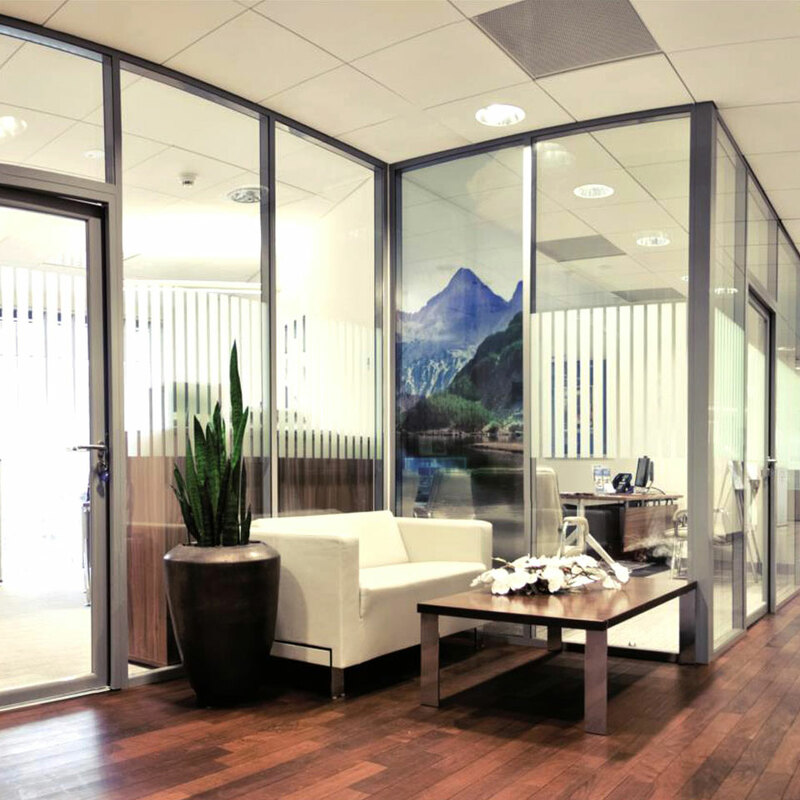 Available with single- or double-glazed glass, T-Bar partitions also have the option of superior acoustic performance and can be custom-made to your precise requirements. 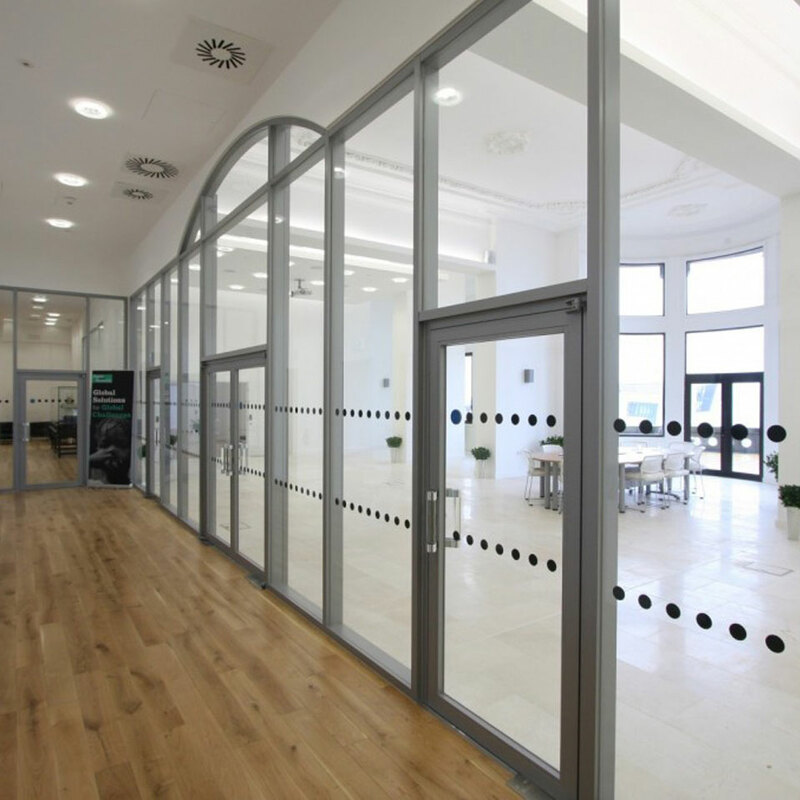 For enhanced fire performance and outstanding protection, we offer a range of stunning partition options for commercial, public and retail premises. A full choice of frame widths and glazing options is available. To ensure complete privacy, our acoustic partitions have been meticulously researched and developed to the very highest standards. The ultimate in flexibility. 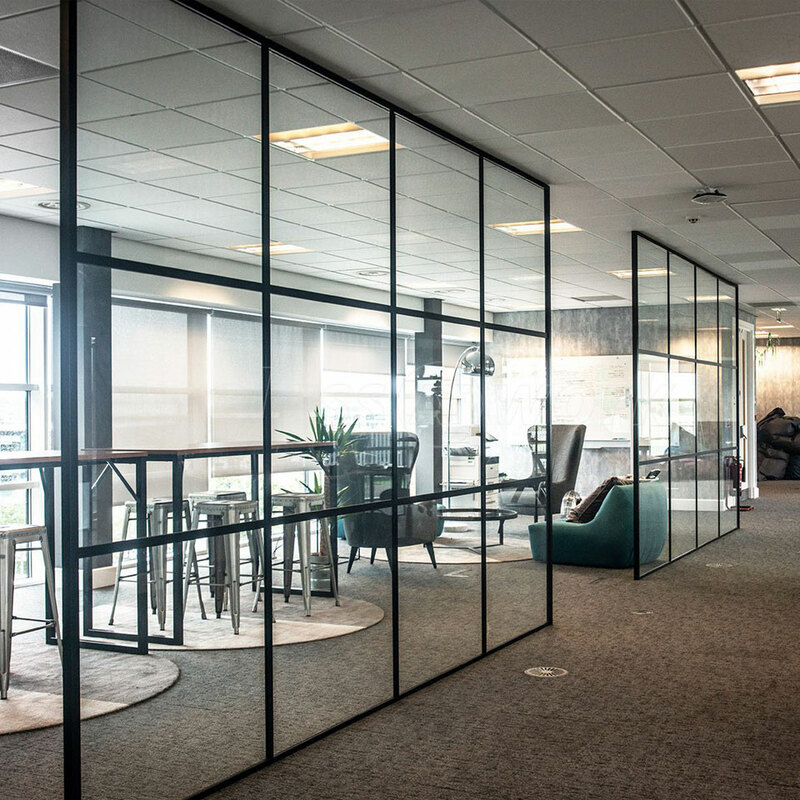 From sub-divided spaces to endlessly versatile workspaces, we offer the full range of partitions that can silently and effortlessly create exactly the space you require. Available in a range of frame finishes. Movable partitions provide precisely the workspace you need now as well as the flexibility to adapt long into the future. 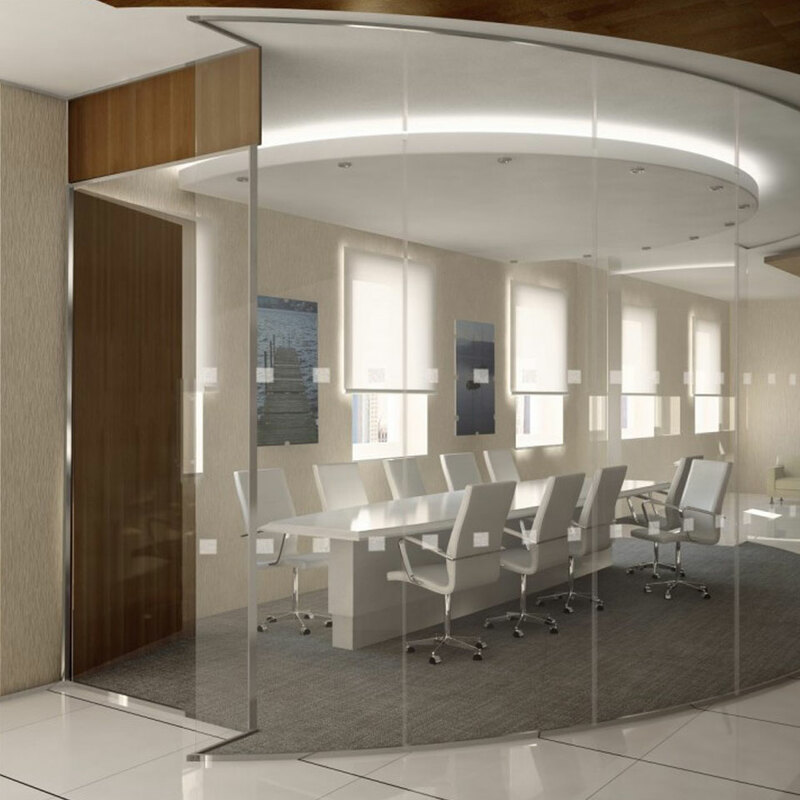 To achieve the sleek and stunning workspace of your dreams, be it a private office or a meeting room, curved partitions can be made precisely to your requirements for a soft, ergonomic and show-stopping solution to your boundary requirements. Our specialist privacy glass can turn from crystal clear to opaque at the touch of a button, or even via an app on your smartphone allowing you to be in full control of your environment. Need a light, airy space one moment and silent seclusion the next? Privacy partitions offer the ultimate in flexible partition solutions for the truly sleek, stylish and state-of-the-art office. ADM Glass provides an individual service offering the full range of logo design, decorative manifestations and all your graphic requirements. 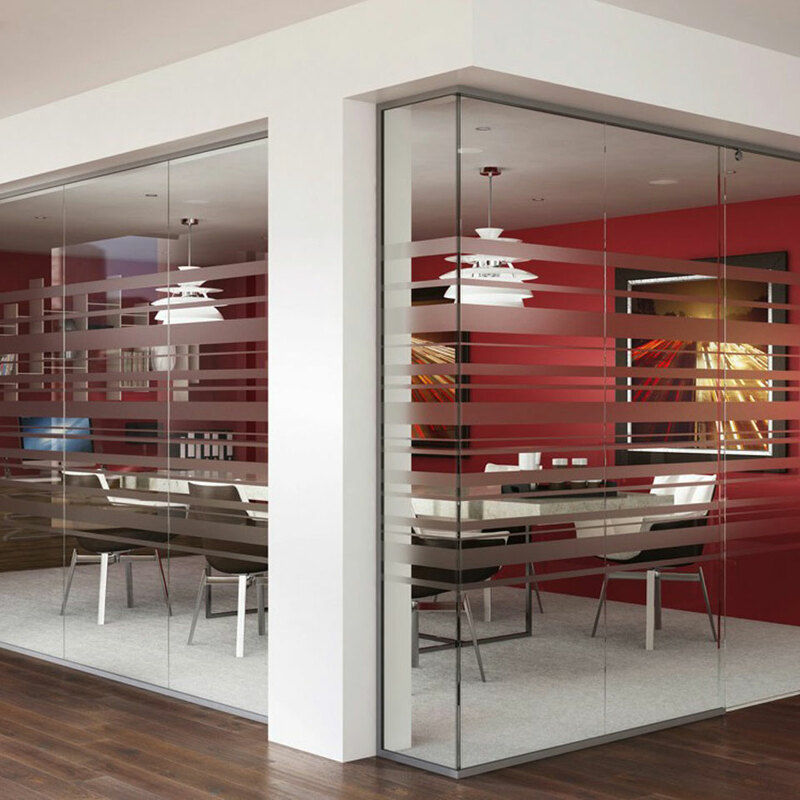 ADM Glass can create a workspace that is as unique as your business. ADM Glass Ltd, Unit 1, 5 West Road, Harlow, Essex, CM20 2BQ. Copyright © 2019 ADM Glass Ltd. All Rights Reserved. Registered in England No. 05536879. VAT no. 867 331 330.